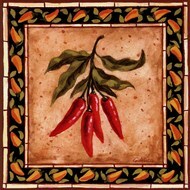 Peppers are just one way to spice up a meal - and art of chili peppers can be the right way to spice up a room in a rustic and culinary way. 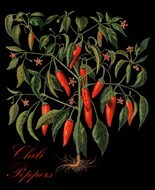 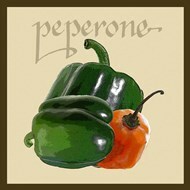 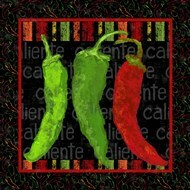 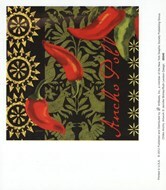 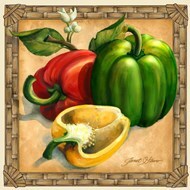 The sight of the uncut peppers is one nearly calm despite the fiery contents and comes in different forms, from stylized art where many different types of peppers are up on display to something more realistic which simply displays bushels of jalapeno peppers. 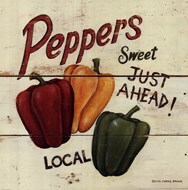 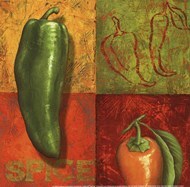 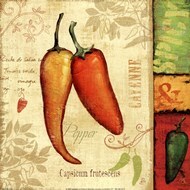 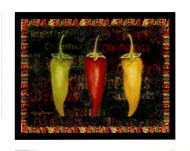 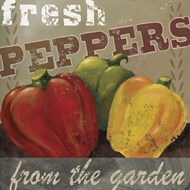 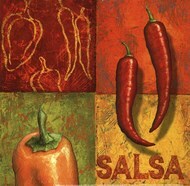 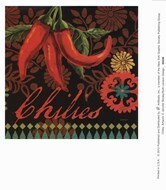 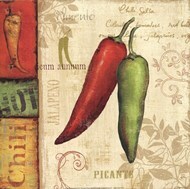 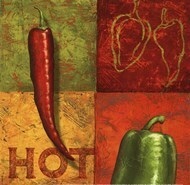 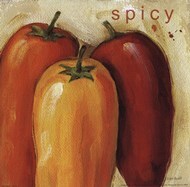 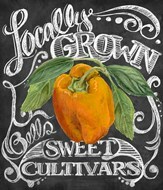 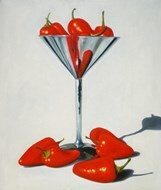 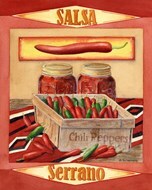 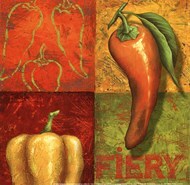 Art of crisp bell peppers and posters of bell peppers mean that you don't have to settle on a single type of pepper when it comes to the images - most of the art comes in a rustic or simple style with colors that are clear cut and pleasing to the ye, but run a full and spicy gambit that can be used to bring a fresh splash of easily observed colors to a setting or room. 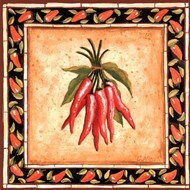 When placing art of peppers in a room, any room, whether it's art of sweet peppers or bushels of jalapeno peppers, it's important to look around while making the decision of where to put it and which room to put it in. 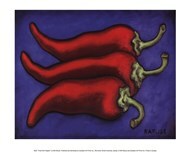 Be it framed or a poster, the nature of this art is complimentary to a rustic and inoffensive style in any room. 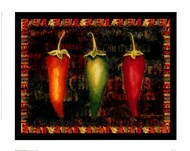 Art of chili peppers can come plainly with the peppers and nothing else displayed, or it can come with a greater mix of the types of peppers involved in supplementary colors like green, orange, red and yellow - and placed correctly can add a dash of elegance.